In honor of Ariana Grande's release of the century's best breakup song (Thank u, Next), here are other songs for every and all stages of a breakup. Definitely not being biased, but everyone should come to Long Island in the summer at least once! Summers on Long Island are by far the best there is. The beaches are breathtaking, the food is to die for and the place to go, are endless. 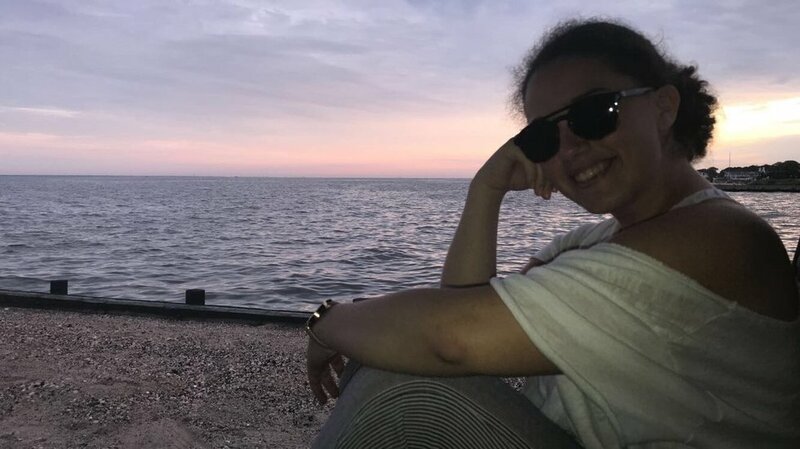 My family and friends love doing so many different things during the summer time on Long Island that we are lucky to have. I never really thought about it before coming to college, but after being away from home for so long, I realized how amazing my home is. I am so grateful that I live in such an amazing place that I get to call my home. The beaches on Long Island are breathtaking! My friends and I not only love going to the beach and soaking up the sun, but we also love to explore the beaches and take lots of pictures. 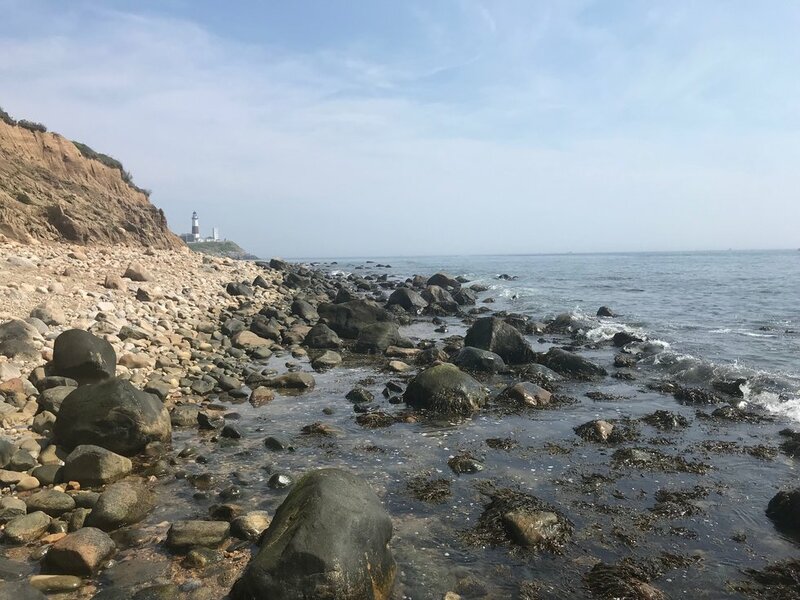 Montauk is arguably the best place to go on Long Island for a true beach view. You can go all the way to the end of the island and look out on the water. There's an endless amount of cute shops and delicious restaurants to go to. 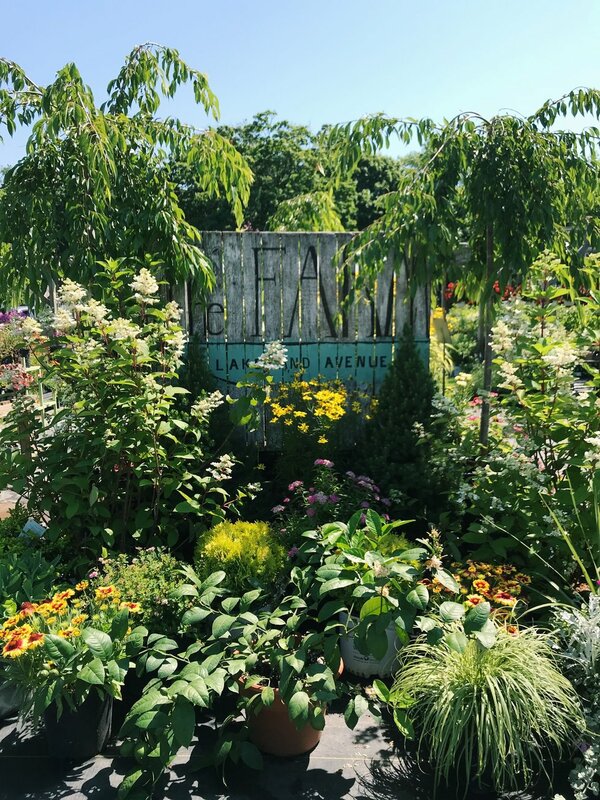 If you're looking for a cute shopping day in the sun, you have to go to the Hamptons! Coffee shops and stores fill the towns with pretty flowers all around! 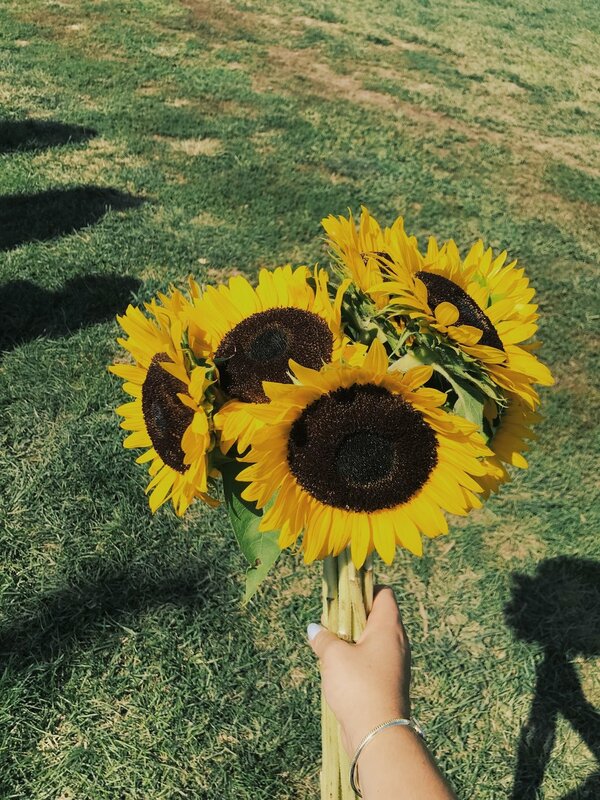 There are so many sunflower fields and flower fields on Long Island that make for a perfect day in the sun. My friends and I love going out East and frolicking through the pretty fields. It's a perfect place to get those Instagram pictures and to just soak up the sun. My favorite thing to do on a Saturday morning is to go to our local farm stand with my mom. We buy way too many flowers, fruits, and vegetables. I could spend hours there looking at all the flowers and fresh food. We also have a farmers market in a big field in my town where local businesses set up tents. This happens every Saturday and my mom and I love to go and buy stuff we don't need! There's one stand that has the best peach pie that we get every time we go! Multiple times a week in the summer, my best friends and I go to this place where we can sit in our car, eat ice cream and look at the beautiful water. It's been almost like a tradition in our town and everyone goes. The best thing to do after a long day at work or a long day at the beach is to come here with friends and gossip! The best memories are made in this boring, little, Connecticut town. 2. But if you find yourself too lazy to get on 95 for food, Panchero's is the go-to... never Chipotle. If it is past midnight, the choice always comes down to the McDonalds in Monroe, where you are almost guaranteed to see a group of people you know, or Merritt Canteen. 3. Once you got your license, your Friday night plans consisted of picking up friends, driving up and down Main Street, and, somehow, always finding yourself at the THS parking lot seeing who's car is there because there is nothing better to do. 4. In the Fall, you couldn't wait for Friday so that after school you and half of your grade could walk to Plasko's Farm for ice cream and apple cider donuts... and hope you could get them before the owners would yell at you to leave. (This one only applies to Hillcrest Middle School kids, AKA the inferior middle school in town). 5. You couldn't wait to be a senior so you could officially lead the BLACK HOLE at football games... if you were even willing to go in the cold. 6. You looked forward to the annual Senior Scav, the last week of summer before your senior year where a list of tasks is passed down by the recently graduated class... the official kickoff to senior year. 7. You pass by Country Club Rd. and get flashbacks from the worst Cross Country practices ever. Driving up Daniels Farm Rd. in the Fall and Spring, you are conditioned to yell "hi" out the window to your friends at practice. 8. You knew someone who worked at Gene's gas station... and found yourself spending more time there on the weekends than you would like to admit. 9. You are convinced Melon-heads are real after frequenting Velvet St. to see the abandoned insane asylum with your friends, IF you didn't want to drive all the way up to Fairfield Hills in Newtown. 10. You have had/have been to at least one middle school birthday party at the Trumbull Marriott. 11. You know that the 25mph speed limit on Whitney Ave. is way too slow... and can't help but hit a little air going down the huge hill at the top. 12. The guy at Towne likely knows your name. 13. You never find yourself turning right out of THS... that side of town is irrelevant for those who do not live there. 14. You know to avoid the Merrit Parkway from 4:00-7:00pm at all costs. 15. You know more than you would like to about people you aren't even friends with... in a town so small, things get around very quick. 16. Going shopping really means going to Target, or any store in the mall, for the millionth time that week. 17. The marching band was the best in the state and you would see them practicing, literally, every time you drove by THS. 19. Depending on the side of town you lived, you spent a lot of time at Five Pennies Park or Indian Ledge Park. 20. You would say you couldn't wait to leave, but when you got to college, you find yourself excited to come back to your hometown so you can reminisce on old traditions and make new memories.